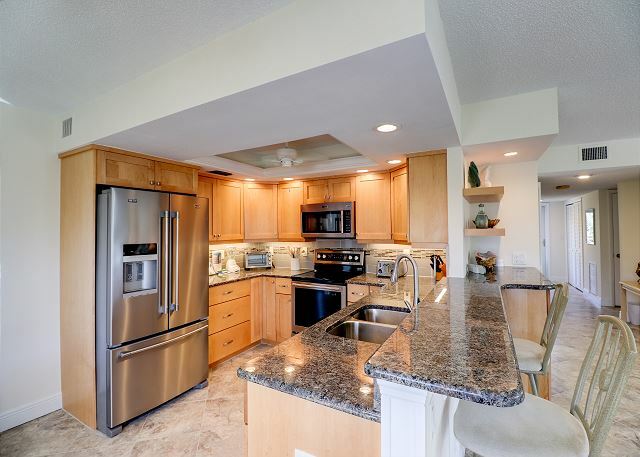 Sanibel Surfside #216: Amazing Condo w/ Great Island Location Steps to Beach! Condo renovations complete!! Renovations to the unit include updates to both bathrooms, new kitchen cabinets, granite countertops and appliances, as well as new flooring. New photos attached! 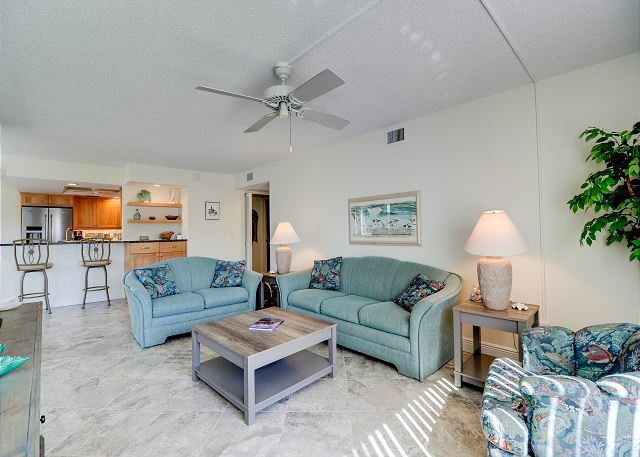 Sanibel Surfside "Splendor" #216 is a comfortable and clean 2 bedroom, 2 bathroom condo and is fully equipped with all the luxuries of home. 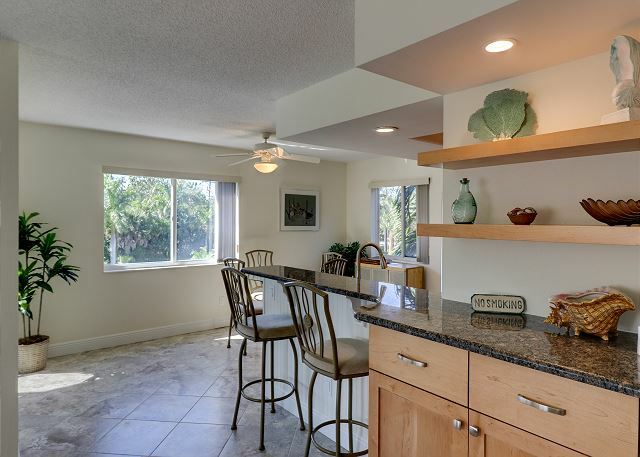 The recent remodel showcases updates to both bathrooms as well as a complete kitchen facelift with wood cabinets, granite countertops, and all new appliances throughout! This hidden gem will be the perfect island getaway you've been searching for! 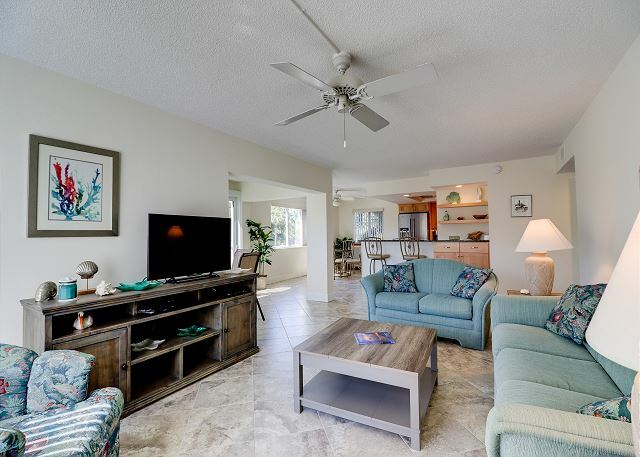 Sanibel Surfside is a small, quiet, well-kept complex with only 38 units and is centrally located close to shopping, restaurants, bike paths, and only steps to the Gulf of Mexico!! Condo amenities include: 2 bedrooms/2 bathrooms -- 1 King bed, 2 Twin beds & a pull-out sleeper sofa (sleeps 6 people) & 2 bathrooms, 3 flat screen TVs, free cable & WIFI, shared heated pool, in suite washer & dryer, screen & glass enclosed lanai, public BBQ gas grills, shuffleboards, tennis & pickle ball courts, elevators, covered parking. No Pets allowed. Bed linens and Bath towels included. Beach chairs, beach towels, and an umbrella are provided for added convenience. 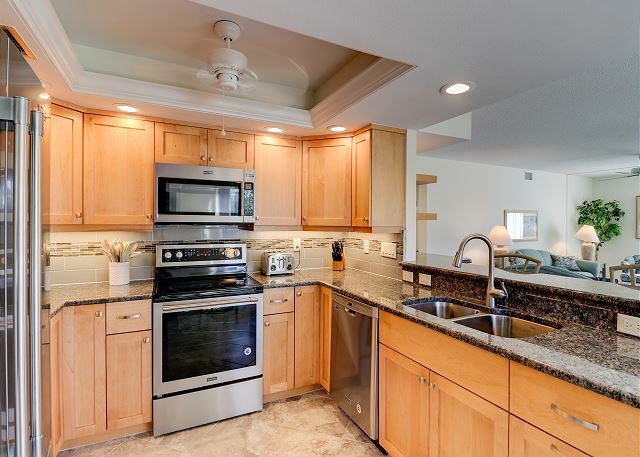 Guest Reviews of sanibel surfside #216: amazing condo w/ great island location steps to beach! 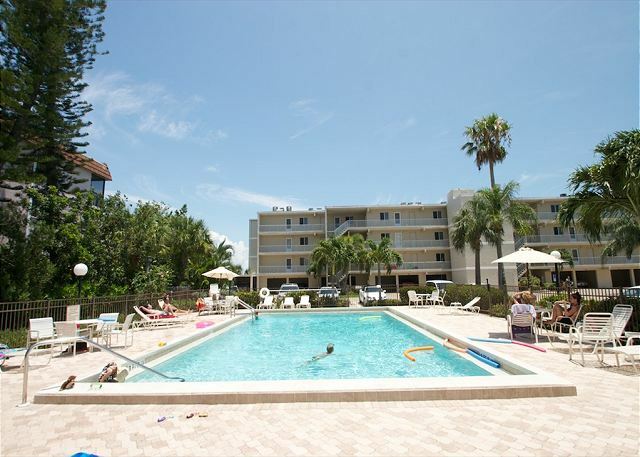 Thank you so much for your review of Sanibel Surfside 216! We are so happy to hear you enjoyed your stay. It was a pleasure working with you and we hope to have you stay with us again in the future! We really enjoyed staying in Sanibel Surfside 216. 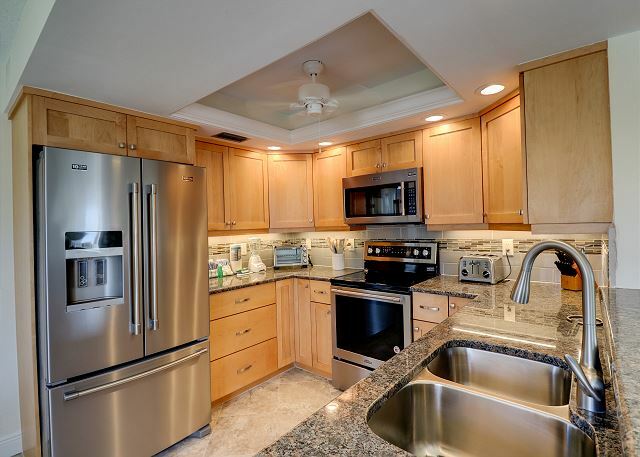 It was roomy, the appliances were all updated and the location was great. In addition, the service provided by SBL Vacations was excellent. 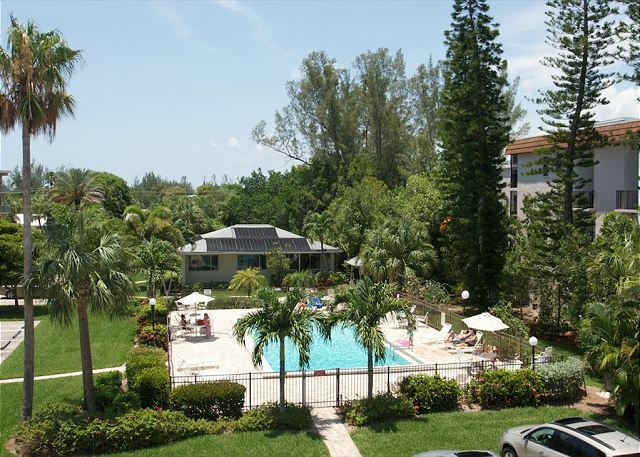 Thank you so much for your review of Sanibel Surfside 216! It has been such a pleasure having you and your group stay with us over the years! We hope we will see you again next year! The overall rental experience from SBL was excellent. The SBL team is very helpful and accommodated our special requests. 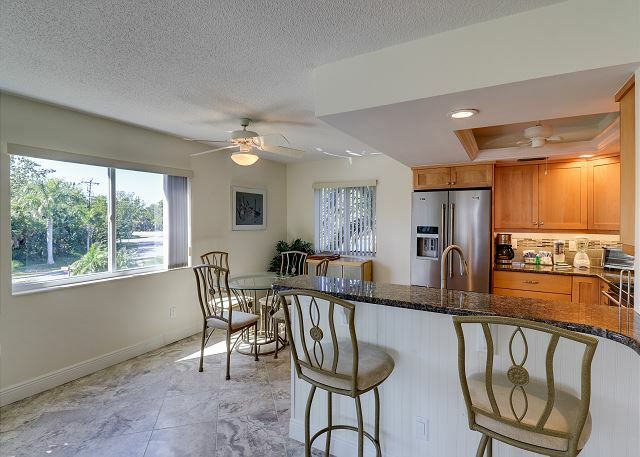 Sanibel Surfside 216 has been updated in the dining area and the bathrooms. My only complaint was that the air conditioning in the master bedroom was so loud that it sounded like an airplane taking off - needless to say it disturbed our sleep. SBL arranged for someone to come in and look at it, but they were unable to fix this problem at the time. 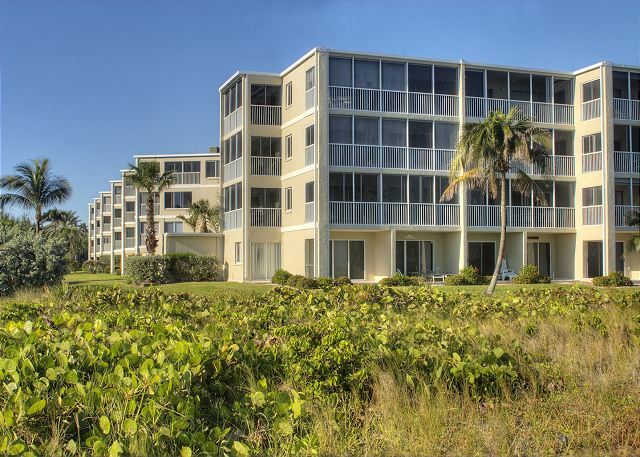 We have been staying at the Sanibel Surfside (many different condo's) and our family loves the building complex itself. This is as relaxing of a vacation as you want to make it - you can choose to sit on the beach in front of the building OR- you can take long walks or bike ride- you can visit the wildlife sanctuaries- you can go fishing (either charter on on your own! )- there are many great restaurants on both Sanibel and Captiva, there are no problems finding good food. We have been coming to the Islands for 20+ weeks for an easy getaway - love it! Thank you so much for your review! As always, it was a pleasure having you and your family stay with us! We are so sorry for the noise caused by the air conditioner. The problem as been fully resolved now. We hope that you will stay with us again in the future! We had a wonderful time. Rental was spotless and the kitchen and bathrooms were very up to date. Loved being able to walk to beach-just steps away. Will rent from this group again. Thank you so much for your review! We are so happy you enjoyed your stay! It was a pleasure having you with us! 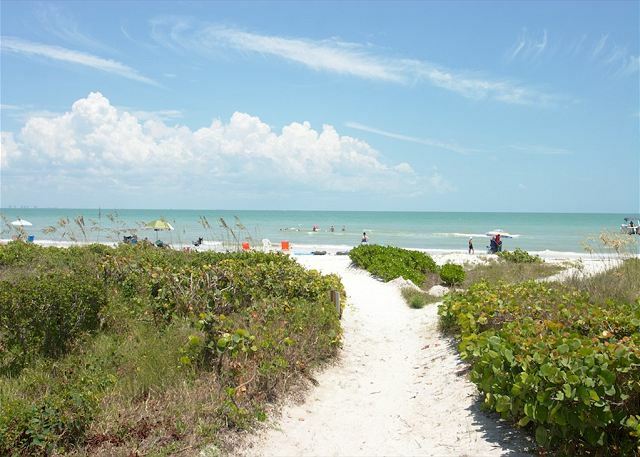 Please let us know when you are planning your next trip to Sanibel! We are always happy to help! We spent 3 weeks at this condo. Great place. Recently renovated with a great kitchen, bathrooms and plenty of space. Easy access to the beach. We've been staying at the same condo complex for a number of years. We have already reserved for next summer!!!! Thank you so much for your review! We enjoyed having you stay with us! We can't wait to see you again next year! 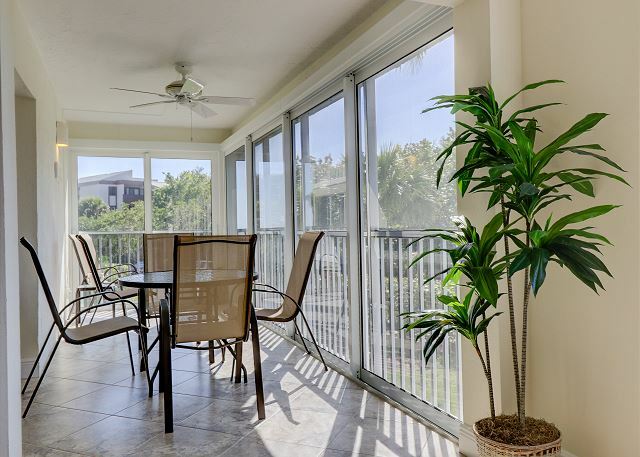 All the comforts of home in a peaceful and immaculate condo. Superior customer service from start to finish. Looking forward to our next getaway! Thank you so much for your review! It was a pleasure to have you! We can't wait to see you again next year and we look forward to helping plan your next vacation! First time visiting Sanibel. Will come back again. The condo was clean, the location was great. The kitchen and bathrooms are new and nicely decorated. Thank you so much for your review! It was a pleasure having you! We are so happy you enjoyed your stay. We hope to see you again in the future! 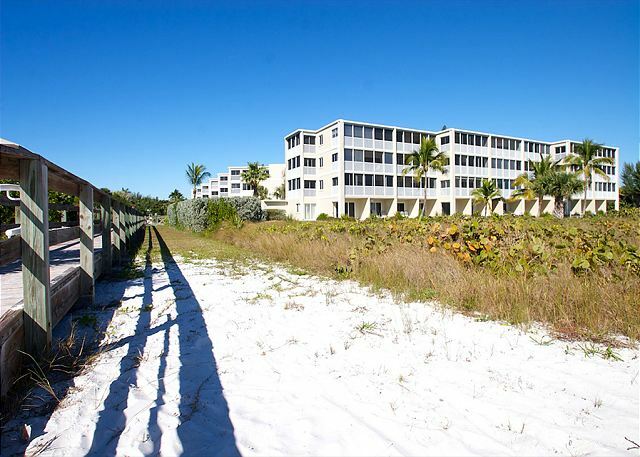 We found Sanibel Vacations and Sanibel Surfside online after the condo we had been staying in for years was unavailable. Everything, from start to finish, was great. The communication, check-in/check-out, accommodations...everything! The condo was great, location to the beach, pool, all fabulous. Already booked it for next year! We are so glad you enjoyed your stay! It is great to hear such wonderful feedback. We can't wait to have you again next year! Thank you so much for your review! We have been coming to Sanibel Surfside for years and truly enjoyed our stay this week. 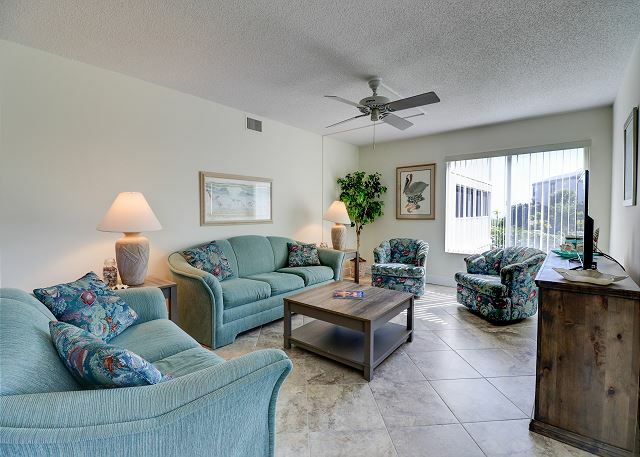 The condo is well situated, full of everything you need to make your stay comfortable and close to the beach and bike paths. 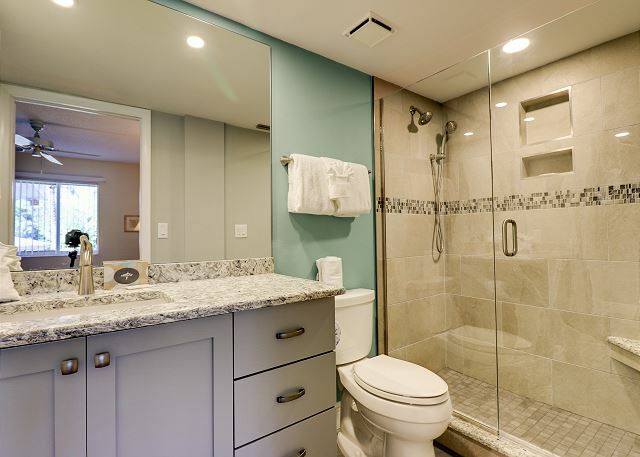 We cannot say enough wonderful things about this condo. Thank you so much and we hope to return next year as well!!!! Thank you so much for your feedback! We appreciate it! We are all so happy you enjoyed your stay! We hope to see you again soon! Thank you so much for your feedback! We are glad you enjoyed your time on Sanibel! Great!!!! We loved the Condo and would love to return but our friends are all in Ft. Myers and the bridge really got expensive for us. Thank you so much for taking the time to leave a review! We are so happy you were pleased with the condo. We hope you will join us again! Overall a very positive experience. 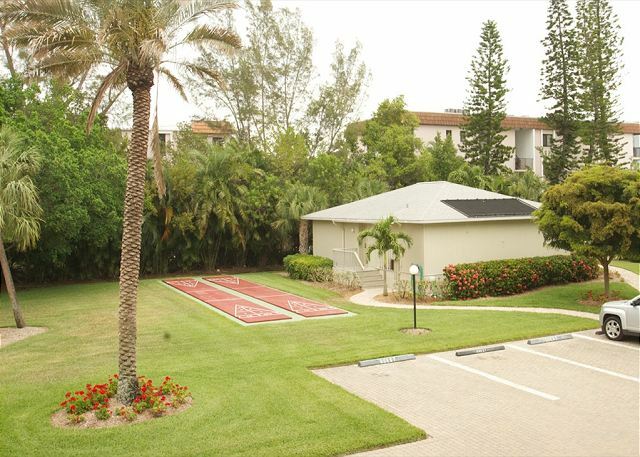 Condo grounds are very well maintained and quiet. Very short walk through the parking lot to the beach. We rented bikes from SBL, which is a must for Sanibel. 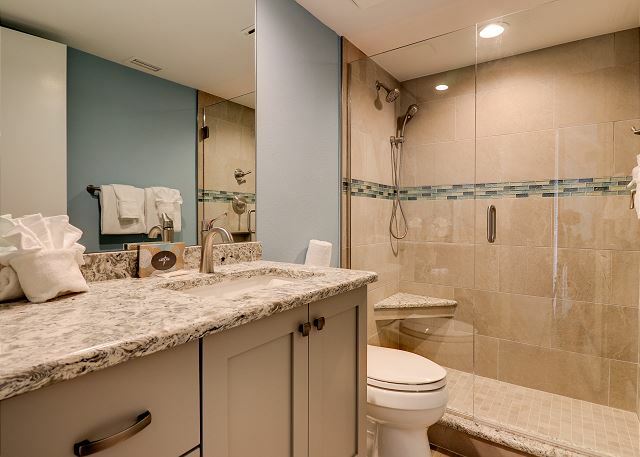 Condo was clean, but does need some updating in baths and kitchen. We are happy you was pleased with us! We will see you next year! Overall great experience. There are a few things that are a little dated, but it was a very comfortable and quiet room. Great location. Would definitely stay again. The condo was well equipped. Beds were comfortable, plenty of towels & linens. Kitchen and baths could use a little updates. Condo was clean and had plenty of room for the 6 of us. We've stayed in this unit many times and we've never been disappointed. Always immaculate, well stocked with everything you need...just add the fun and relaxation and you're in for a great vacation! ?? Ron was terrific, too! We had a wonderful stay! The unit was very clean and spacious. It met all our needs. 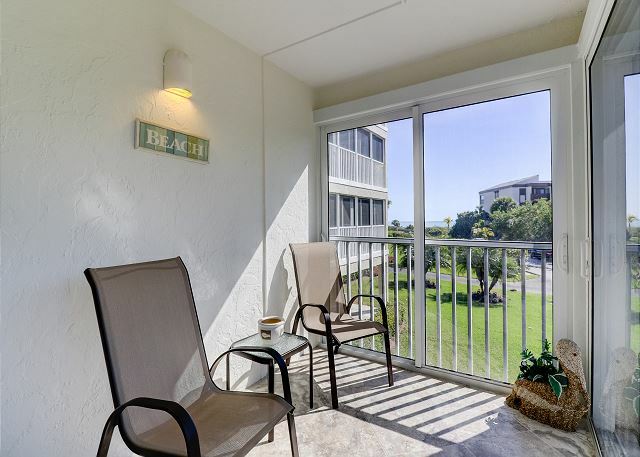 the units proximity to the beach perfect! We loved it and would definitely stay again in the future. Thank you Kathy, we are so glad you enjoyed your stay in Surfside Splendor. We appreciate your comments and hope to see you again when you return to Sanibel! Great Location! Great Accommodation! Great Agents! Had a wonderful stay at Sanibel Surfside! The condo is very clean and abundantly provided for all of our needs. 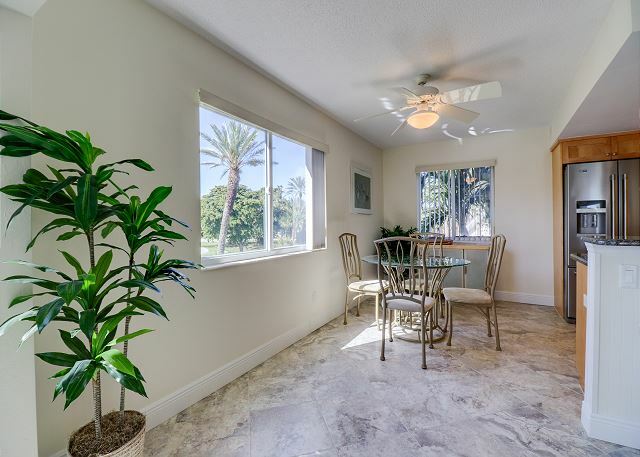 Lots of natural lighting with a view of the ocean from the lanai and living room. Beautiiful sunrises, but sunsets cannot be seen from this Sanibel location. Abundant shells, beautiful weather, and a quiet location to rest and restore. We are thankful! I thought for $2000 plus, the condo was not a good value. For that price I expected updated furnishings, decor, granite countertops. And the ad stated a water view, which was quite a stretch. You could maybe see the water if you stood in the corner of the screen porch. Very stingy on the supplies. One roll of paper towel and 2 rolls of toilet paper for over 2 grand? Really? We were not given any dishwasher soap at all but when I called the mgmt. co. they did drop off a couple of packets within an hour so I will give them credit for their quick response. Clean and a great complex. TV's in the bedrooms did not work / we could not figure it out. Great beach and good location. 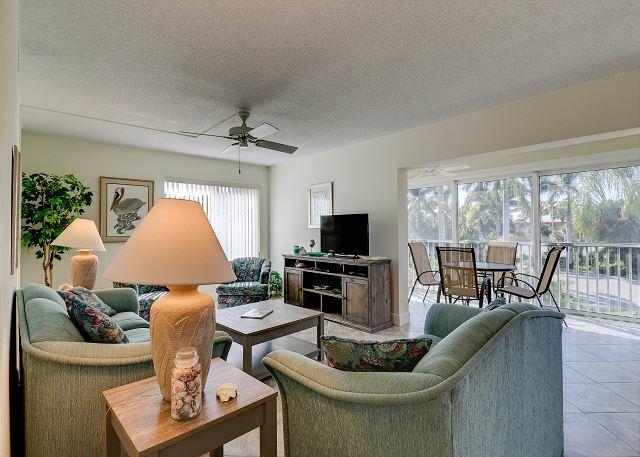 We rented #216 at Sanibel Surfside--beautiful and comfortable and a view of the water from the lanai. Had a fabulous time. We LOVED our stay at Surfside Splendor!wish we would have stayed two weeks. Condo was beautiful and had everything that we needed. Close to beach with good shelling. Very quiet and relaxing! Nice retreat from the cold climate in Idaho. Enjoyed the Christmas/Luminary Festival on Sanibel. 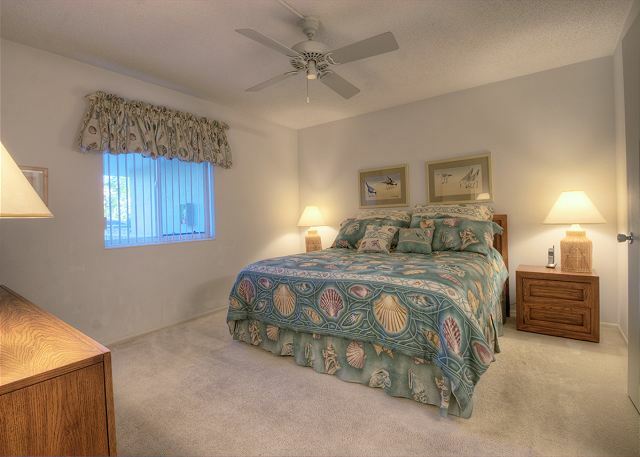 Would recommend this condo and Sanibel to anyone who wants to get away from the hectic lifestyle. Management company was very accommodating. Two friends and I spent two weeks here late February-early March and enjoyed everything about it. The property was clean, well laid out and roomy, Rob responded promptly to our requests: new beach umbrella, non-slip shower mat, bike rental and locks, tool to adjust bike seats, follow up when the electricity went off in a storm. 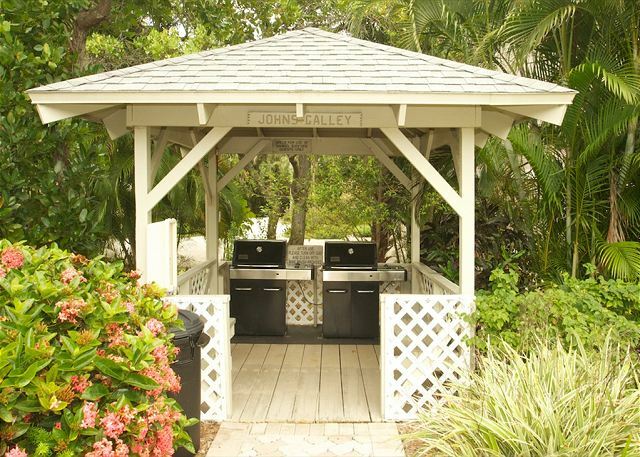 The kitchen was well stocked with cooking utensils, and we grilled out a couple of times--the property provides two nice gas grills beside the heated pool(which we also liked). We had a sliver of view of the ocean from the lanai, where we spent a lot of time. The walk to the beach was short and easy, with a good place to wash off our shells and sandy feet on the way back in. I liked the fact that the property was small and quiet, and our unit was situated in a way that gave us a lot of privacy. Not seeing another lanai from ours was really nice. I will be happy to stay here again. 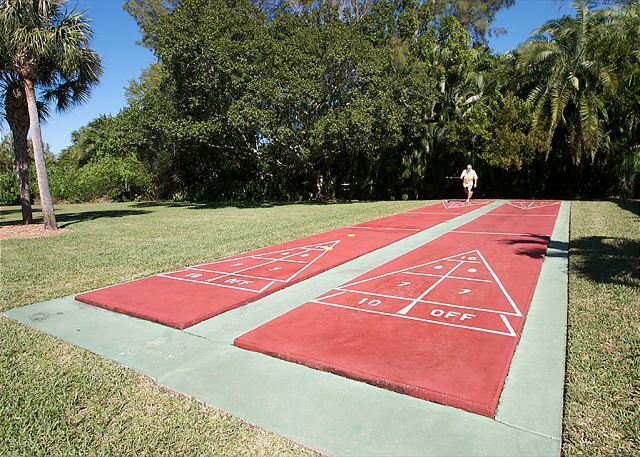 Winter Escape or reliving the movie "Cocoon"
Before vacationing on Sanibel,, obtain a map of the island. I think Chris Christie may be in charge of traffic flow here so you want to look for ways of avoiding Perriwinkle drive whenever possible. With pedestrian, bicycle and other traffic you need to be alert! 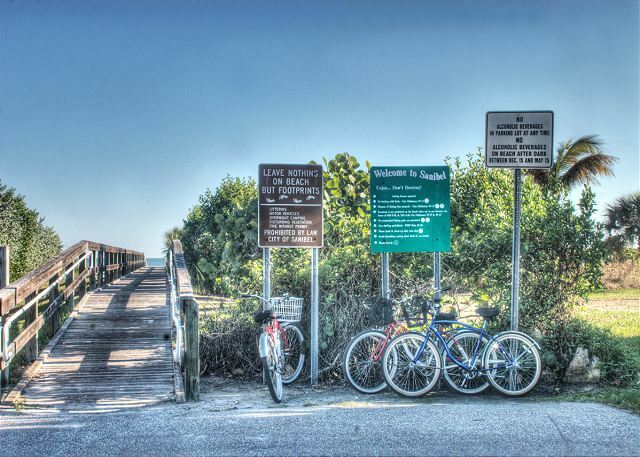 Fantastic wildlife refuge and beaches!